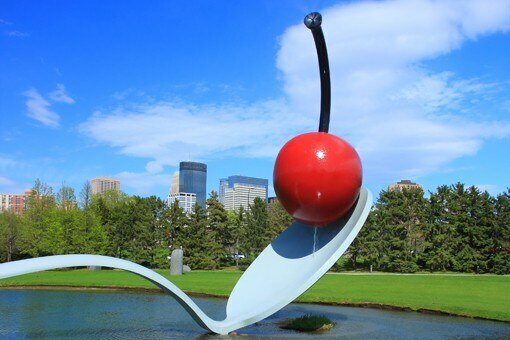 Discover Minneapolis on a vacation of cutting-edge galleries and avant-garde theater. On the other side of the Mississippi River, relax on strolls through St. Paul’s historic neighborhoods. Settle into a Minneapolis hotel for a big city getaway unlike any in the American Midwest. Whether you’re into the art of European masters or the music clubs where Prince hung out, you’ll find a plethora of cultural offerings in the Twin Cities. Book a Minneapolis hotel and follow this list of the top 10 cultural things to do in Minneapolis. Celebrate the season with a summer vacation in Minneapolis. Play in one of Minnesota’s 10,000 lakes, catch an outdoor concert and try some of the local unfiltered dunkelweizen beer on a patio overlooking the Mississippi River. Book a summer hotel in Minneapolis and step into the sun. You’ll never see it all on a short getaway in Minneapolis, but this guide will make sure you see the best. Book a Minneapolis hotel and discover this Midwestern American jewel. Whether you’re looking for a Minneapolis hotel near the theater district or you prefer to stay within shopping distance of the Mall of America, this guide will help you choose where to stay in Minneapolis or its eastern neighbour, St. Paul. Book a Minneapolis hotel and see the best of the Twin Cities.